Autumn is the perfect season for a cosy night in and I've feel like I've got my routine down. From pampering to putting on a fresh pair of pj's, I've got the full line up for you today. 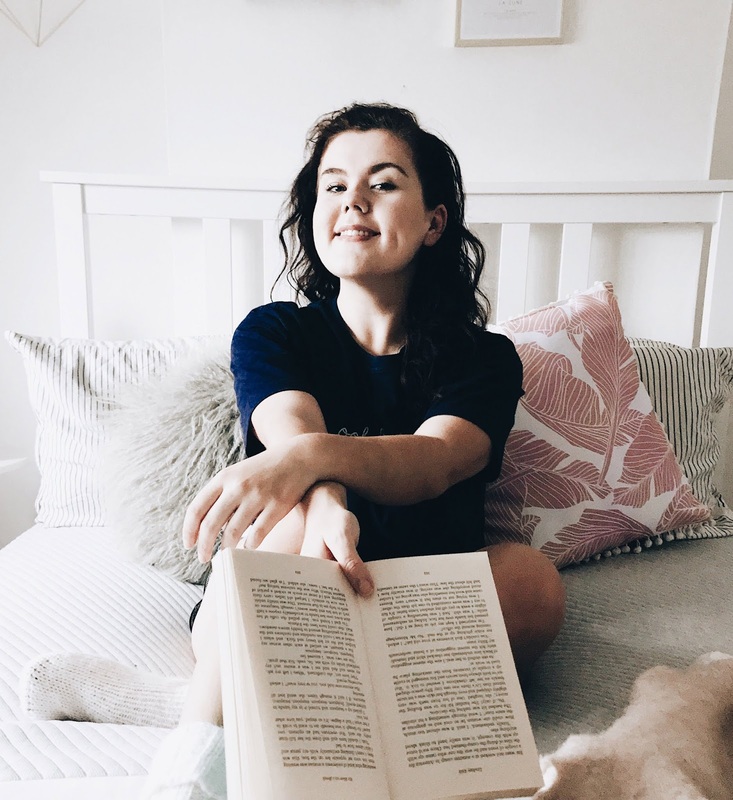 The New Mattress | It was only recently that it dawned on me that we've had our now old mattress for some time now and if I'm honest it just wasn't cutting it when it came to comfort anymore. When Leesa got in contact with me I jumped at the chance because I've heard so many great things and I wanted to share with you a bit about the process and how it feels now we've been sleeping on it for a month. I picked up the Leesa Premium Foam Mattress and I'm sharing my thoughts with you today. As for the process of it arriving, unpacking it and getting it set up. It was super easy and much less of a faff than I thought it would have been. As someone with an Ikea bed, I was worried about the mattress not fitting our bed, but it was so easy to measure and pick the right mattress that we need (as they come in both UK and EU measurements). It arrived within a few days of ordering it and it came tightly wrapped in a box ready to be unrolled on your bed. It expands over the course of 24 hours, but it can still be slept on in the meantime. The best part and something that put my mind at ease was that you've got 100 days to test out your mattress before you decide if it's the right one for you. I think this is great as you really get to try it out before you commit and the 10 year guarantee is definitely an added bonus many will be relieved by. Tom and I both do lots of exercise, so a comfy, cosy bed has always been important to us as we want to roll into a plush mattress at the end of the day. The mattress has three unique layers of foam to make it as comfortable, yet supportive as possible meaning you don't sink into the bed and disappear like I had thought you would. Instead it enables you get a good night's rest supporting your body without making you overheat and get irritated. Having a mattress without springs never really occurred to me before, but it makes such a huge different to how deep I've been sleeping. Using I end up with a spring in my rib during the night which startles me in the night, but we've both been sleeping a lot longer and deeper than we did before. It's come at the perfect time really as with a fresh set of pillows and a new duvet, we can't wait to get into our toasty bed at the end of the day. I've got to mention as well that despite needing to cover it up with my bedding, more on that later, the mattress itself is rather pretty being a pale grey with stripes that's material is actually super soft to feel too. Leesa also give back with every purchase you make as they've donated over 30,000 mattresses to 1,000 non-profit organisations and donate one mattress to every ten sold. If you'd like to try a Leesa mattress out for yourself then I've got a discount code (PINTSIZEDBEAUTY) which gets you £100 off your purchase. want to do a bed dance whenever these two come together and they always bring a smile to my face too. I feel like having a fluffy duvet is the perfect way to make your bed feel like you're falling into a cloud and makes Sunday mornings an absolute dream. Embrace Hygge | I've really got to bug to have friends around for a cosy night of drinking and chatting. I'm also prone to a little board game from time to time, a perfect way to spend a couple of hours with a mulled wine in hand. Dim the lights, put out your favourite candles and get out lots of blankets to snuggle up with. I love having something to dip in and share for dinner when I'm going for a cosy night in, something like fondue, pizza or just humous and dips. A Long Hot Bath | Whenever I need a bit of 'me time' I always run myself a hot bath full to the brim with the fluffiest bubbles to sink myself into with candles all around giving off just enough light so I can read my book. If the bath is just the right I can stay in there for ages and it's the perfect way to relax for the evening. Don't forget you can shop your Leesa Foam Mattress with £100 off including the code PINTSIZEDBEAUTY. What makes a perfect cosy night in for you?